hello! 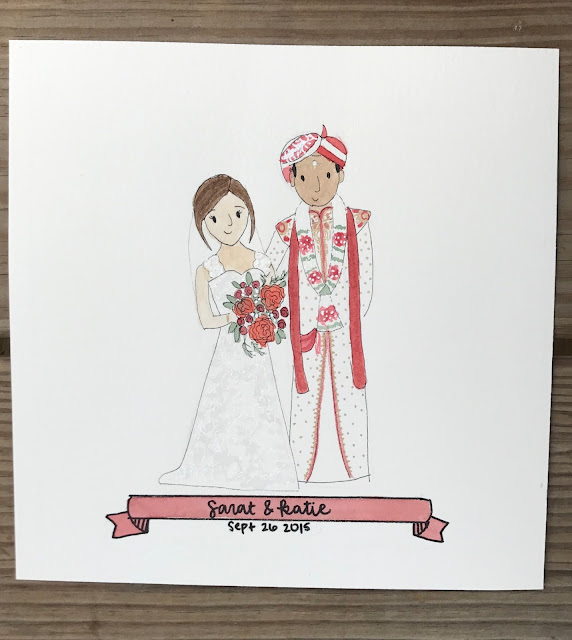 i am so excited to share one of my favorite young business owners with you all today, rylee of little missy rae... she is so talented and creates the most beautiful paintings. rylee has her own etsy shop and is only fifteen years old. i have been buying her artwork for a few years and was so excited when she wanted to offer one to a reader of 'olive june.' these portraits would make the most thoughtful christmas/holiday gifts. 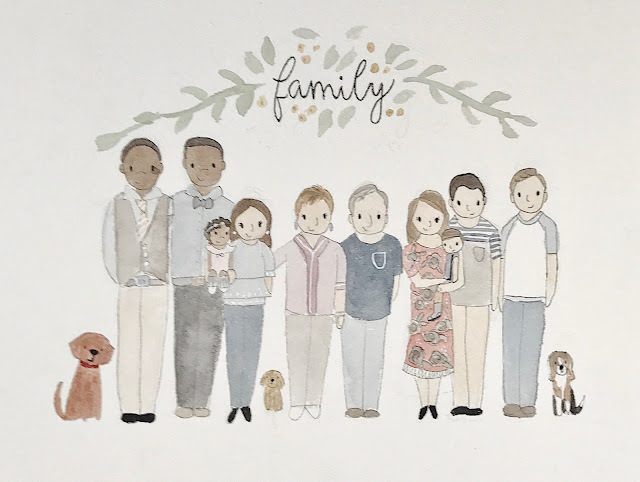 i have given one to my husband's parents, my parents, my husband, as wedding gifts, and she also makes anniversary portraits as well. this is for my brother-in-law, bassey. he loved the one rylee created for my parents and wanted his late brother, imoh included. parks is bigger than the previous one + precious leona is here! she also creates paintings that are perfect to give as a wedding gift. 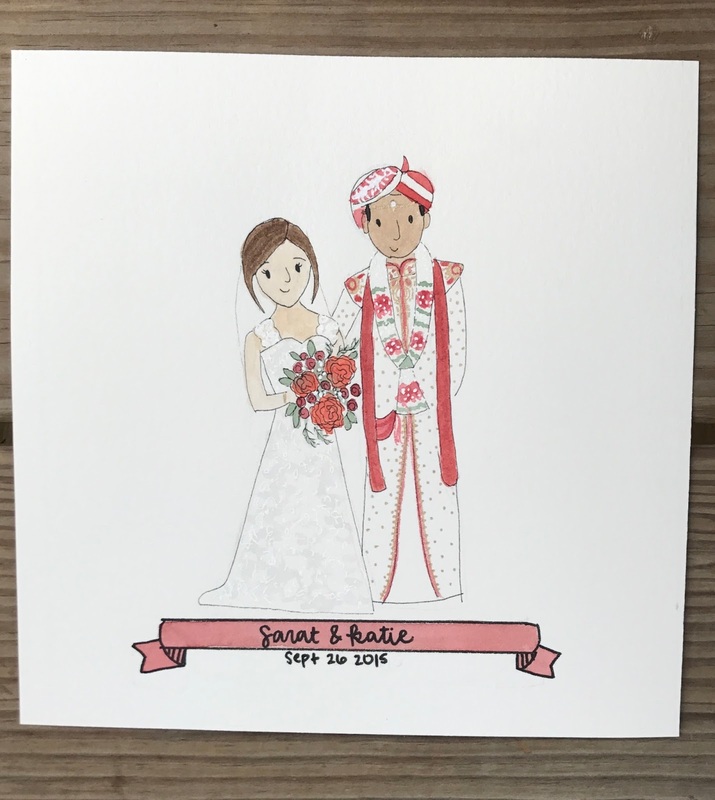 we usually give a card/cash the day of the wedding and then i send her a photo of the couple and she creates a painting. i then frame it and ship it their way. people seem to really adore these. 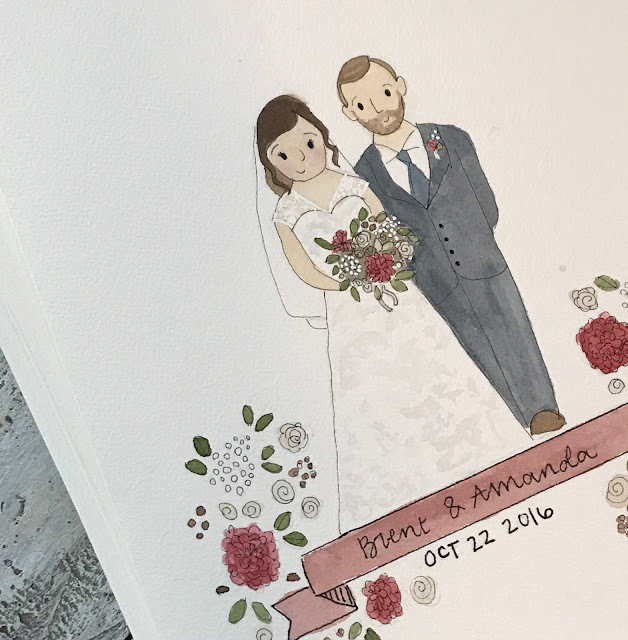 i love how she captures each couple's day with the details + colors + attire + date + names. you can get anything you would like across the top + florals, greenery, etc. she has offered to give away one painting (up to fifteen people) to one of you! this giveaway ends on november 12 at midnight - let me know if you have any questions. rylee will even include your family pets if you would like them included... all three of our family dogs are a pretty big deal so i had to include them all. i can't recommend her enough! she is professional, very quick and creates potraits you and your loved ones will cherish- always. These are so adorable! I've wanted one of me and my husband for a while, but I'd also love one for the entire family. So cute! thank you so much! i can't recommend rylee enough- she's amazing!! I love these! I saw the one at your mom and dad's and immediately put it on my wish list. These would make great gifts too! awe, she is so amazing!! you def. need one and such great gifts!! These are beautiful!! I love the idea of gifting a portrait for grandparents. it's the perfect gift!! thank you so much and so glad you love them as much as i do! My favorite holiday memories with my family are from when I was a kid and we had big family gatherings with huge meals and festivities! yes!! same :) so many memories! still one of my favorites and thank you for the love!! I love this! Such a beautiful gift idea, too!